Note: This is part 5 in a series for high school students about reading and interpreting science on the internet. Read the intro and get the index here, or go back to part 4 here. 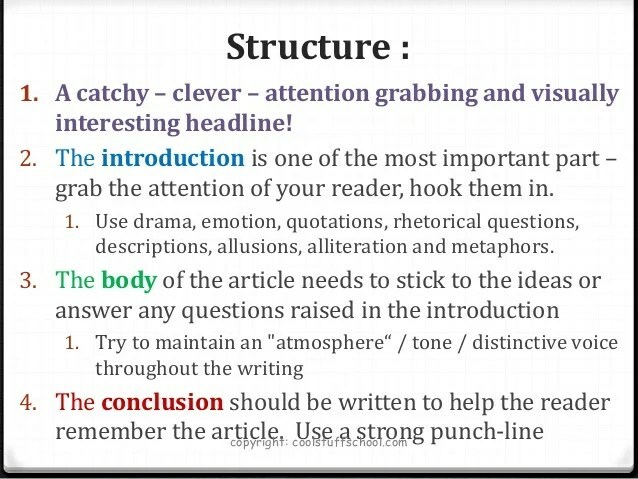 Check out that point #2 “Use drama, emotion, quotations, rhetorical questions, descriptions, allusions, alliteration and metaphors”. That’s how journalists are being taught to reel you in, and that’s what they do. It’s not necessarily a problem, but a story is designed to set your impressions from the get go. That’s not always bad (and pretty much ubiquitous) but it is difficult when it leaves you with an impression that the numbers are different than they actually are. Article writers want you to believe that the problem they are addressing is big and important, and they will do everything in their power to make sure that their opening paragraph leaves you with that impression. This is not a bad thing in and of itself (otherwise how would any lesser known disease or problem get traction? ), but it can be abused. Stories can leave you with an exaggerated impression of the problem, and exaggerated impression of the solution, or an association between two things that aren’t actually related. If you look hard enough, you can find a story that backs up almost any point you’re trying to make. Even something with a one in a million chance happens 320 times a day in the US alone. Source. None of this however, would mean that margarine consumption was actually driving divorce rates in any way. Nassim Taleb has dubbed this whole issue “the narrative fallacy”, the idea that if you can tell a story about something, you can understand it. Stories allow us to tie a nice bow around things and see causes and effects where they don’t really exist. First and foremost, always remember that story or statistic that opens an article is ultimately trying to sell you something, even if that something is just the story itself. Tyler Cowen’s theory is that the more you like the story, the more you should distrust it. Of course, this almost always works the opposite way. People can be very convinced that the Tupperware they used while pregnant caused their child’s behavior problems, but that doesn’t make it true. Correlation does not prove causation in even a large data set, and especially not when it’s just one story. It also helps to be aware of words that are used, and to think about the numbers behind them. Words like “doubled” can mean a large increase, or that your chances went from 1 in 1,000,000,000 to 1 in 500,000,000. Every time you hear a numbers word, ask what the underlying number was first. This isn’t always nefarious, but it’s worth paying attention to. One final thing with anecdotes: it’s an unfortunate fact of life that not everyone is honest. Even journalists with fact checkers and large budget can totally screw up when presented with a sympathetic sounding source. This week, I had the bizarre experience of seeing a YouTube video of a former patient whose case several coworkers worked on. She was eventually “cured” by some alternative medicine, and has taken to YouTube to tell her story. Not. One. Part. Of. What. She. Said. Was. True. I am legally prohibited from even pointing you in her direction, but I was actually stunned at the level of dishonesty she showed. She lied about her diagnosis, prognosis and everything in between. I had always suspected that many of these anecdotes were exaggerated, but it was jarring to see someone flat out lie so completely. I do believe that most issues with stories are more innocent than that, but don’t ever rule out “they are making it up”, especially in the more random corners of the internet. By the way, at this point in the actual talk, I have a bit of break the fourth wall moment. I point out that I’ve been using the “tell a story to make your point” trick for nearly every part of this talk, and that they are most certainly appreciating it more than if I just came in with charts and equations. The more astute students are probably already thinking this, and if they’re not thinking it, it’s good to point out how it immediately relates. Until next week! Read Part 6 here. I am going to inform my Maine-residing brother and sister-in-law that their decision to eat more real butter saved their marriage. I caught that the last was an anecdote but not any of the previous ones. I still don’t know if the examplse make it all the way to “story.” I guess arguing from an authority that is a flesh-and-blood person is a human touch and has elements of story.